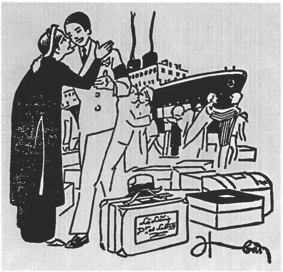 Gatty Lecture, Yen Vu, "Prodigal sons and disparate selves"
Between 1920 and 1930, France saw a surge in Vietnamese students studying abroad in the metropole and while some would stay for marriage or work, most would eventually return to Vietnam. This “return of the prodigal son” has been taken up in past scholarship to refer specifically to a generation of Vietnamese youth who would be the source and energy for anticolonial revolution and the Communist movement. My talk turns away from this revolution-bound narrative to consider two francophone versions of the trope, Pham Van Ky’s Frères de sang (1946) and Nguyen Manh Tuong’s Sourires et Larmes d’une jeunesse (1937), to highlight the idiosyncrasies that mark this new generation of Vietnamese. Not only did they have the privilege to travel, they also incarnated a cultural, temporal, and linguistic break from earlier generations because of their education in romanized Vietnamese and French rather than literary Chinese. Contrary to the proverbial parable, the narrators in the imagined returns of these francophone texts are never quite met with forgiveness and resolution. The romanticized reunion between father and son and by extension, the harmonious coalescence of Orient and Occident, is instead thwarted by the reality of competing references for identity: Vietnamese and French, ideogram and alphabet, tradition and modernization. Such differences from the parable and its historical legacies challenge the assumption of returns to be welcoming, accepting, and relieving. Moreover, the complexity of these returns describe the political reality of Vietnamese youth as they mediate the transformations in society and such reflections on Vietnamese origin, identity, and national belonging.